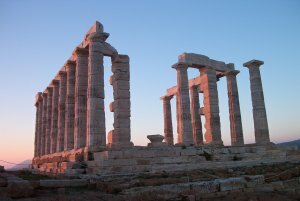 One of the privileges granted by the Hellenic Ministry of Culture to the foreign archaeological schools/institutes is the right for their members to be issued with passes allowing free entry to all archaeological sites and museums in Greece. In order for the Institute to apply for a pass on your behalf, mail two photos, and proof of membership (or application for membership) to the Institute’s Athens offices. If you are not already a member, you can find details of membership and application procedure here. Applications should normally be submitted at least eight weeks before the date for which the Pass is required. Passes can be collected from CIG’s Athens offices during normal office hours. If you are currently residing in Greece and would prefer your pass to be mailed to you, please include a self-addressed stamped envelope. Outside of Greece, please include C$3 for postage and handling. For further information please contact the Assistant Director.